Three questions, short in length and large in significance. These were the ice breaker questions of a small breakout session during last year’s Women’s Fitness Summit. Have I mentioned lately how much I love ice breakers? So awkward! So uncomfortable for me! So full of growth opportunities! The last sentence strangling out of my throat sounding more like a subversive sob than something I meant to say. But what I didn’t say? Is that I’m still afraid that I don’t actually belong in this space, or most spaces to be honest. I’m scared that once people get to know me they’ll be let down and/or see the truth. And that the reason I am included in these events and groups at all is because I have value as a customer. Yes. I’ve managed to convince myself at multiple points along this RRM project that the reason there is room for me at these tables has more to do with my pocket book than my person. Oh, the crazy stories we tell ourselves. Now when those whispers turn into a roar I have some strategies to meet and move past it. And because my heart is light by nature but I sometimes need a reminder to lighten up, I’ve named this system working my TWERK. Talk – Shame stories can’t survive in the light, and talking about them shines a spotlight right on them. So reach out. Call a friend or loved one. Write a post in your journal or in your corner of the internet. We live in a world that allows us to connect in ways never before possible. Use them! Your people are out there and waiting to support you. Find them! Hit comment and tell me. I am your people. Work – Sometimes this means writing. Sometimes it means moving my body. Sometimes it means cleaning my house or fixing something. 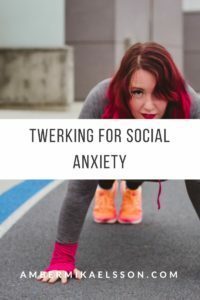 Sometimes it means shaking my booty and actually twerking. Just a little action in any of these parts of my life can give the confidence boost and momentum needed to start feeling better. Eat – Vegetables. Come on Amber. Coffee is not a food group. Rest/Recovery – Elevated cortisol levels from lack of time spent sleeping and recovering is a huge factor hampering healthy living efforts. So while our first instinct when the unworthy voices creep in is to DO ALL THE THINGS EVEN HARDER, it is entirely possible that we actually need to sleep and recover more, not less. Kindness, always. If I’m struggling to be kind to the woman in the mirror, I focus it outward. Because you can’t lift another person up without gaining a little boost yourself. This system is easy to remember with it’s silly name, and it works as a touchstone to ground us back in our best lives. It’s fairly simple to determine which area is lacking and focus some intention there. 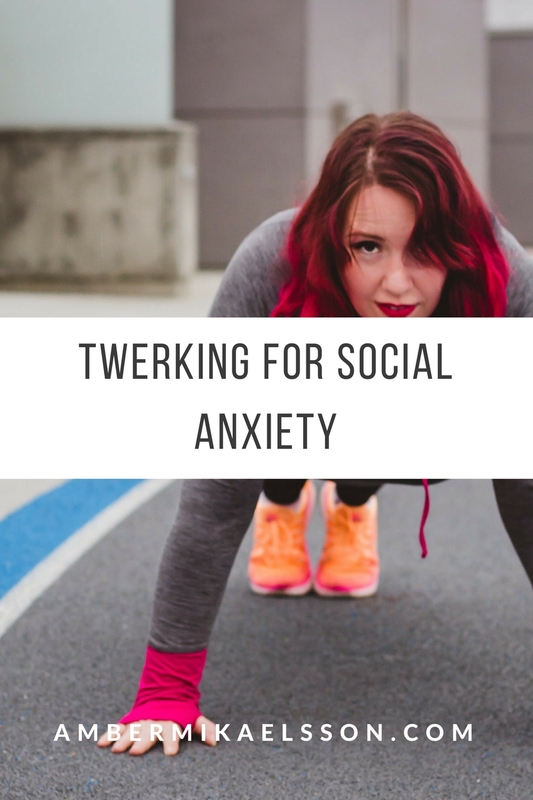 If I find myself unwilling or unable to address any of these TWERK points, I know it’s time to talk to my doctor about some additional resources and support. There is no shame in my mental health game. Looking forward to learning about you. Who am I? A super sensitive deep thinker. What words describe you? Quiet, but outgoing in certain situations. A people person who loves to have deep conversations. I also can be awkward in certain situations. What do I wish people knew about me? My anxiety can sometimes take over my life in negative ways.